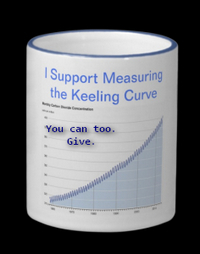 Sure, correlation is not causation, but it is causation if there’s independent physical evidence that there is a link. And we have plenty of that. Much of the doubt and discussion these days is about attribution of surface warming to human causes, specifically human fossil fuel emissions. 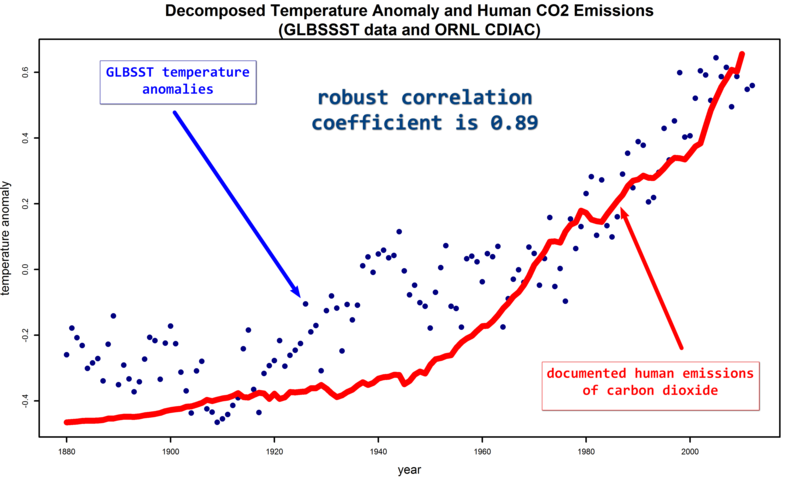 It can be done in many ways, the most scientifically convincing being ratios of isotopes of carbon and oxygen in excess CO2 in atmosphere, and in remaining atmospheric composition. But there’s a more direct way, and I offer that below. This is a plot of the GLBSSST temperature anomaly series I was using as the baseline for the two guest posts I did at The Azimuth Project blog, with the second being here. The temperature anomalies are with respect to a 1950-1980 baseline, in degrees Celsius, from 1880. Displayed atop it in red is the scaled and shifted value for global CO2 emissions by just humans from all sources. 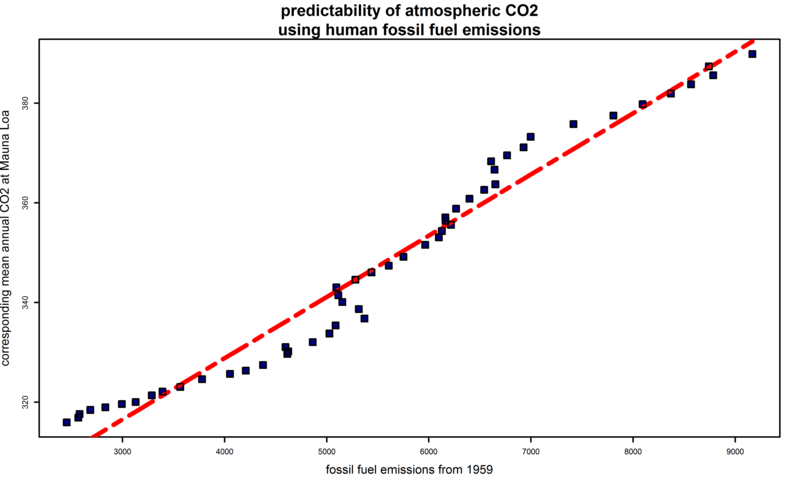 I did a plot to counter a claim that atmospheric CO2 concentrations don’t correlate with (human) fossil fuel emissions. Seemed to fit well here. This entry was posted in carbon dioxide, chemistry, climate, climate education, ecology, environment, forecasting, geophysics, mathematics, meteorology, oceanography, physics, rationality, reasonableness, risk, science, statistics and tagged anthropogenic global warming. Bookmark the permalink. 1 Response to Are we making the argument harder than we have to?